What They Say.....Girl meets boy. Girl loses boy. Girl loses mind. An exploration of love, heartbreak, self-image, self-deception and lots of food. 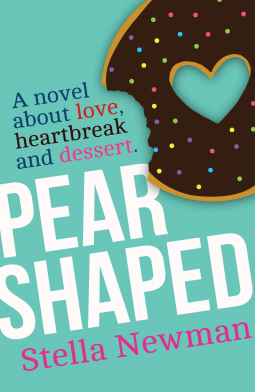 Pear Shaped is in turns smart, laugh-out-loud funny and above all, recognizable to women everywhere. What I Say....Freaking guys. They can be so stupid. This started off as a lighthearted little romance, I was happy to see Sophie hitting it off with James and he seemed like he was really going to get it. And by it, I mean, looks aren't everything. One weirdness about this book was that Sophie wasn't even fat!!! Ever!! And then she got too skinny. But James being a middle aged, financially well-off man, realizes that maybe he could do better than Sophie in the looks department. So begins the half-in, half-out relationship with a man who doesn't really want her, but doesn't want to not have her either. Having been through this, and having watched the majority of the women I know go through it too, it's absolutely maddening. Even watching a fictional character see all the red flags and the signs and still keep going back for more punishment is infuriating. I won't spoil the ending for anyone, but it was a little more true to life than I would have preferred. It's always a catch-22, do I want the chick-lit happy ending or what happens to those of us not bound to 352 pages of a life? Mostly, I prefer a happy ending, I've got enough reality, thankyouverymuch. I liked the writing, I liked the characters, I liked the story. I would have preferred just a touch less of the food description - it got too long sometimes. All in all, a book worth reading. Thank you, NetGalley and Bookouture for the Advanced copy.